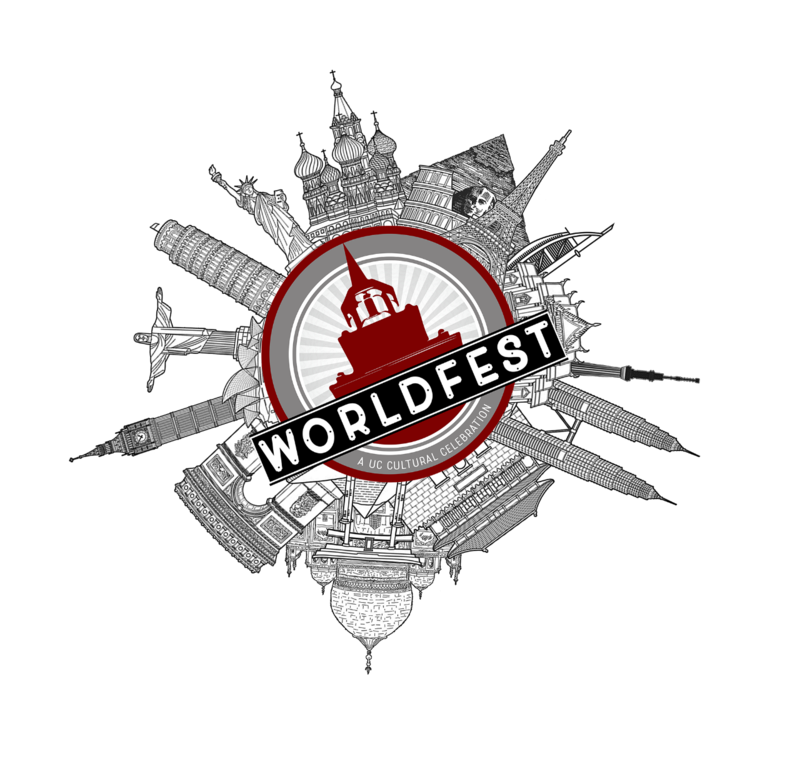 WorldFest is a period of cultural celebration where students, staff, and faculty of various ethnic and cultural backgrounds can express, share, and celebrate in their cultural and ethnic heritage. Opening Ceremony on Thusday, February 28th at 4:30 P.M. in TUC Great Hall! There will be cultural performances, an opportunities fair, photo booths, Henna artists, prizes to win, and food from all over the world. This initiative is in partnership with the Office of Ethnic Programs and Services and City Gate Church to collect items for programs in need such as various shelters around the Greater Cincinnati area, The Free Store Food Bank, and the Bearcat Pantry. We will also be in collaboration with Collegiate 100 and The Lambda Society who will also aid us in gaining items for the drive as well. Check the itemized list below to find out what to donate. Collection will start at the WorldFest 2019 Opening Ceremony and will continue in the EPS Office (Steger 555) till March 10th. Contact Fabrice Juin (fabrice.juin@uc.edu) for more info! We are excited to announce out WorldFest 2019 Calendar of Events! Please join us in one of our over 15 cultural programs and events from Thursday, February 29 - Saturday, March 9. All events are free and open to the public! Sponsored by: The University of Cincinnati Divison of Student Affairs, UC Mainstreet, The Office of Equity and Inclusion, The Programs and Activities Council (PAC), UC Bicentennial. Cultural performances, opportunities fair, photo booths, Henna artists, prizes to win, and food from all over the world! Start WorldFest 2019 off right. You do not want to miss out on this! Come learn Dabke, belly dancing, and North African Dances. Raffles, dance compeitions, and more fun! Beverages and refreshments will be provided. Holi is known as the festival of color to mark the arrival of spring. This holiday is celebrated by spreading color everywhere and applying it to other people in order to spread joy to everyone. Holi is a two-day festival consisting of Holika Dahan and Rangwali Holi. Holika Dahan is the day where we celebrate the defeat of evil and the victory of good. During this day we symbolize the good over evil by lighting wood on fire and throwing religious offerings (dung cake) into the fire. Rangwali Holi is celebrated the next day, where people throw powdered color on individuals to celebrate love, fertility, and joy. Dinner: TUC 400 ABC | 5:30 P.M.
Show: TUC Great Hall | 7:00 P.M.
Food, dance, music, fashions, and more! Come join us for a night of entertainment. Hosted by Ebaby Kobby. *Dress to impress and/or African garments. Join us for FREE & Confidential HIV testing. Walk-in, complete a rapid test, and receive results in 20 minutes! Umang'19 is our celebration of Harvest Festivals of India and the Indian Subcontinent. Starting 15th January till late May, there are different festivals which are celebrated by people all over different states and countries. In spring though, it is celebrated in full grandeur. Carnivals, food prepared from new harvest, with lots of singing and dancing to celebrate the new harvest and thus thanking the community and the almighty is common. We are trying to imbibe the same in our event with singing, dancing, some Indian food and hopefully lots of fun. Speaking Engagement: Procter Hall 103 | 8:30 A.M.
Culture Festival: Procter Hall 3rd Floor | 11:30 A.M. The Committee for Equity and Inclusive Excellence is proud to present the 5th Annual College of Nusing Culture Festival, Building a Mosaic Community: Valuing Strengths of Cultural Differences. Latinos en Acción proudly presents Rosa Gerra, our featured speaker for LEA's 2019 World Fest Event! Ms. Rosa Gerra has dedicated her life towards activism and humanitarian work within the Latinx/Hispanic community. Join us March 5th at 5pm in Swift Hall 800 for this event, with catering from Mazunte (first come, first served) and an opportunity for questions and discussion to conclude! SALD and the Women’s Center are reading We Should All Be Feminists by Chimamanda Ngozi Adichie. Books are free to be picked up in Steger 671 and the Lunch & Discussion will be on Wednesday, March 6th at 12:00pm. The book is a short, 45 read! So there is still time for students who are interested! ASL Town will provide an opportunity for students to experience a World where you communicate through sign language and gestures. The room will be split into two activities: One side will include games, such as: ASL Jeopardy, Fingerspelling Game, Read My Lips, Telephone Game (via ASL), and the Animal Game. The other side will include “The Deaf Deaf World." A “store” would be present here where students will have to gesture or use sign to “buy” food, books, etc. The Deaf Deaf World will also have topics up for discussion; meaning, an explanation towards offensive questions or statements, misunderstandings, jokes, etc. Form a team with a friend (each team will have 2 people) and answer questions about world cultures, books, and general information. The top 3 teams win fabulous prizes. Pizza and snacks will be served. Tel-Aviv Night will be a night of culture, education, and fun around Israel, and specifically Tel-Aviv. Our theme this year is the Shuk-Markets in Israel and the beach. students will get fake monopoly money that they can use to purchase things in the market like Hamsa bracelets, Israeli food, and candies, etc. We will have Israeli music and a photo booth, swag and more. For more information, please contact Program Coordinator Fabrice Juin at fabrice.juin@uc.edu.